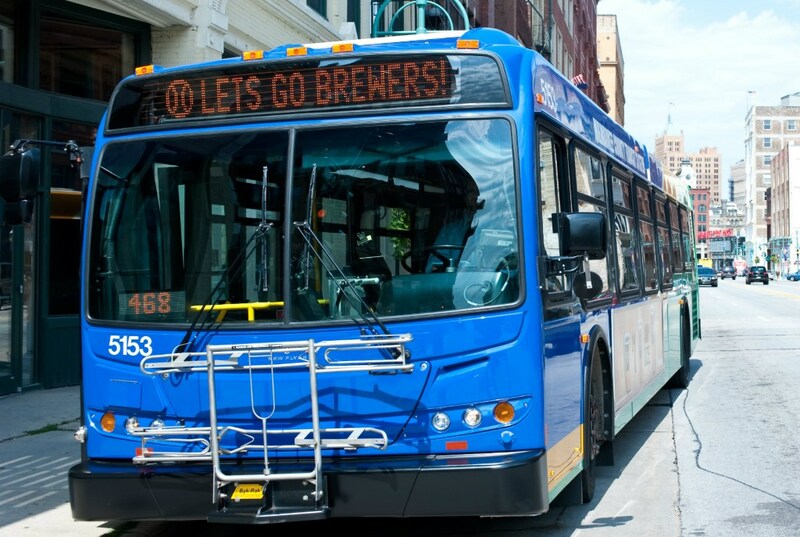 Beginning on Opening Day, and for every home game this season, the MCTS Brewers Line is the easiest way to get to Miller Park to cheer on the Brewers. 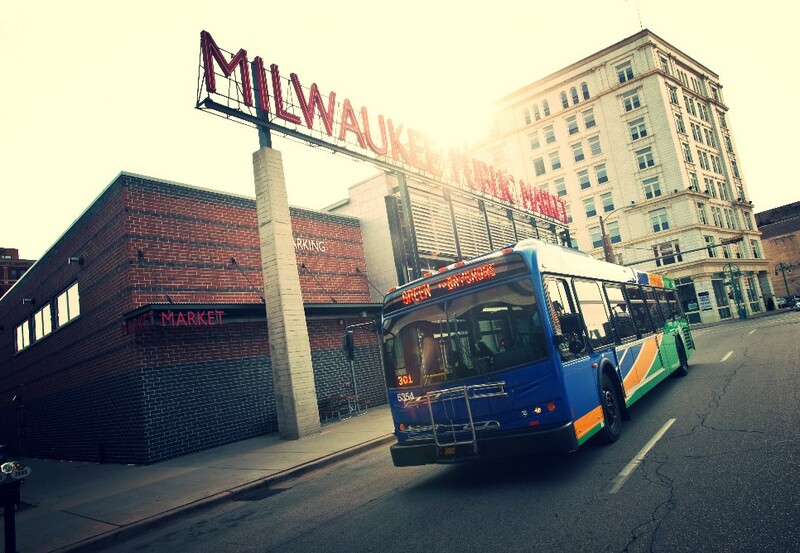 Catch the Brewers Line (Route 90 – Miller Park) along Wisconsin Avenue and travel directly to the MCTS transit area at Miller Park starting with the season home opener on April 4th. The Brewers Line is a safe, easy, convenient and cost effective way to get to a Brewers game. Fans can leave the traffic and parking hassles at home by simply hopping on board at any of the 21 stops along Wisconsin Avenue, and head straight to the park. Fares each way for the Brewers Line are $2.25 for adults paying cash or only $1.75 if you use your M•CARD, children aged 6-11 and seniors 65 and older pay only $1.10. Riders with the Commuter Value Pass, U-PASS, GO Pass, New Freedom Pass or an M•CARD with an active 1-, 7- or 31-Day Pass ride for free. The Brewers Line buses operate approximately every 30 minutes for two hours before game time (except on opening day and Marquee games when buses operate more frequently). Return trip bus service leaving Miller Park operates for one half-hour after the end of the game. Brewers Line bus stops are located at the Downtown Transit Center and along Wisconsin Avenue from Jackson Street to 38th Street. Look for electronic destination signs on the bus that display “Let’s Go Brewers!” Buses drop passengers off at the MCTS transit area on Yount Drive on the north side of Miller Park. On the return trip, buses leave the ballpark from the MCTS transit area and serve all eastbound bus stops. Brewers fans can also ride the GoldLine (Wisconsin – UWM), Route 23 (Fond du Lac-National) or the BlueLine (Fond du Lac-National), all which offer stops within walking distance of Miller Park. For more information, visit RideMCTS.com or call the 24-hour automated bus information line at 414-344-6711. Does the Miller Park buses stop at the Amtrak Station? The Brewers Line does not go directly pass the Milwaukee Intermodal Station, however it is a short walk (about a quarter of a mile) to Wisconsin Ave to catch the bus. If you prefer you can take the Route 57 from the Intermodal Station to Water and Wisconsin and catch the Brewers Line there.